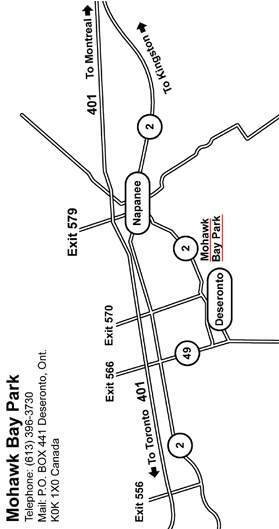 We are located between Kingston and Belleville on Highway No. 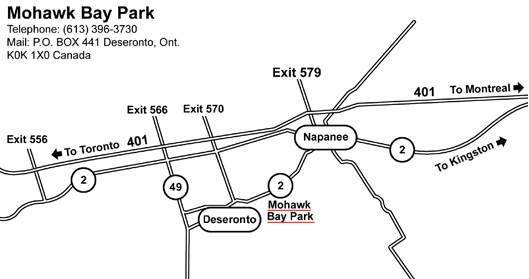 2, just east of the Town of Deseronto, and 6 km (4 miles) west of Napanee. From Highway 401, take Exit No. 570 south 5 km (3 1/2 miles) to Highway 2 and turn LEFT. We are about about 200 metres (230 yards) away on the RIGHT. Mobile Devices Tap Map for Larger View.